Station manager Teresa Ceesay with one of the signs in Japanese yesterday. picturesque regions that the local station has put up notices in their native language. The signs welcome the visitors and direct them to buses, taxis and hotels in the Cotswolds and even tell them where the toilets are. 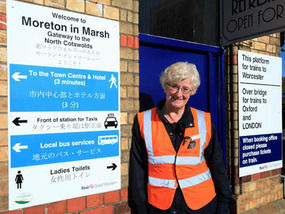 They were put up in Moreton-in-Marsh, Gloucestershire, by station manager Teresa Ceesay, who noticed Japanese visitors constantly asking staff for directions. Ms Ceesay, whose station boasts the title Gateway to the North Cotswolds, said: “I’d noticed a lot of Japanese people getting off the train and looking a bit puzzled. About 50,000 Japanese people are estimated to visit the Cotswolds each year. 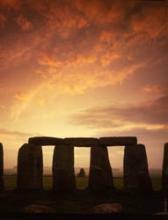 Almost a quarter of a million visited the UK in 2009, boosting the country’s economy by an estimated £30.4million. Japanese-born Juri Miyawaki, who owns Juri’s Tea Rooms in Winchcombe, Glos, said English culture fascinated many Japanese people. She said: “Many Japanese ladies come here because they’re so interested in England’s baking heritage and getting recipes. Avoid the big crowds and busy tourist coach stops by organising a private guided tour of the Cotwolds. Get off the beaten track and explore the Cotsolds properly. Small goups leave fewer footprints……….